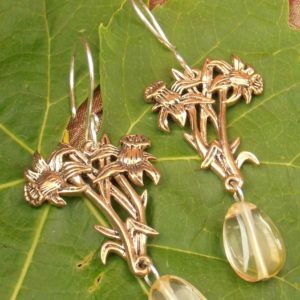 Cast Bronze and Sterling Silver Acorn and Oak Leaf Earrings. This style features 8mm round sphered of cloudy dark purple Amethyst. An oak tree is the enemy of symmetry. Oaks twist and grow. In January bare branches are a sculpture born of time. In Spring bright green leaves twist towards the sun. No symmetry, and yet perfect. 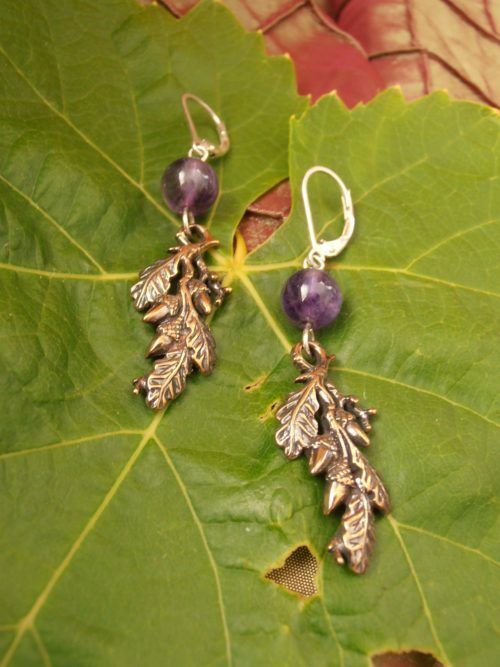 We hope these Acorn and Oak Leaf earrings come close to mirroring the natural perfection of the real thing. Based on a handcarving. Cast out of warm Bronze burnished to a coppery brown. 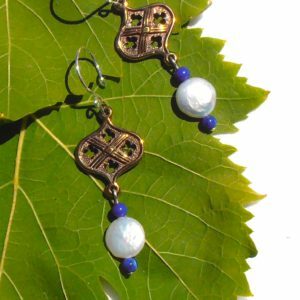 Finished with sterling silver hooks and garnished by stormy dark Amethyst.